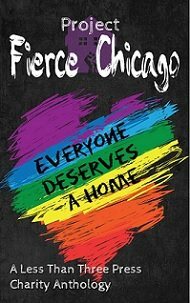 I’d like to extend a warm welcome to my friend and fellow author Dianne Hartsock who is contributing to an anthology to benefit the Project Fierce Chicago Charity Anthology. Please take a moment to check out her post and consider purchasing this anthology. Hi Mia and everyone! Thanks so much for having me over. Today, I’d like to talk a little about homelessness. 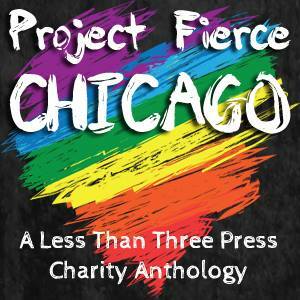 Not an easy topic for anyone, but there are many ways in which we can help, and I’m very happy to say that my story SAMMY has been chosen to be in the Project Fierce Chicago Charity Anthology. It’s estimated that Chicago has up to 3,000 homeless youths in need of shelter on any given night with lesbian, gay, bisexual and transgender people making up as much as 40 percent of the national homeless population (Chicago Coalition for the Homeless). But there are just 209 youth shelter beds available citywide and young homeless people are left to navigate for themselves. Dressed in black baggy jeans, a gray tank top and a Harley Davidson cap skewed backward, Juan Gallaher stood under a cool late-fall drizzle devouring a peanut butter and jelly sandwich from the Night Ministry’s homeless-youth-outreach van at Belmont Avenue and Halsted Street. “I can’t let the life I’ve got kill me before I get the life I want,” Mr. Gallaher said. It was 8:30 p.m., and Mr. Gallaher was getting his first meal of the day. But he has gone so long and so often without food that hunger is now a faint feeling, he said, though he knows he needs to eat. Three weeks earlier, he had turned 21. While that is a happy milestone for most young people, for Mr. Gallaher — a ward of the state since 2006 — it meant he was no longer eligible for services from the Illinois child welfare system. As a result, he lost his apartment and his subsidies. “I’ve learned in my life that nothing is stable,” Mr. Gallaher said. So he focuses on the fundamentals: getting a free dinner and finding a place to sleep — maybe under a bridge, in an abandoned house or crowded with other homeless youths on the floor of a friend’s small apartment. Mr. Gallaher also is a transgender person, and a former ward of the state — both of which, studies show, make him far more likely to experience homelessness. Homeless youths are in need of nurturing, they are easy targets for crime and abuse. And beyond basic housing, there is a need for services that can help them obtain an education and job skills. 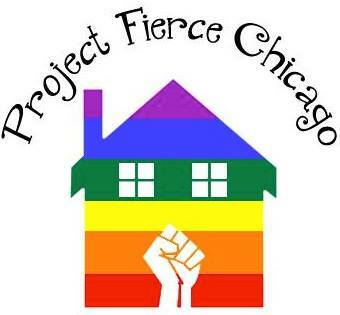 Project Fierce Chicago is a grassroots group of youth advocates and community members working to create housing for homeless LGBTQ youth in Chicago. One year ago, Project Fierce Chicago publicly launched. Since then, they’ve further established their infrastructure, grown their collective, built relationships with other youth organizations and raised over 1/3 of their operating budget. They have their sights set on foreclosed properties in Austin, South Shore & Garfield Park, and hope to purchase their home by Fall of this year, and begin housing young people by winter. “Don’t worry about it. Everyone asks, sooner or later.” Sam took another bite of the delicious spaghetti, deciding how much he wanted to tell John. It seemed odd. Tad was the only person he confided in, but he felt like he could trust John as well. John had never hurt him or tried to cheat him. Sam clamped his lips shut. What was he doing? John couldn’t really care about some queer and all his problems. Must be the wine making him stupid. Sam shrugged. God, everyone wanted to save him. “I have a job,” he muttered. Yeah, better get to it. He dropped a hand on John’s knee and trailed his fingers up his thigh. Thank you, Dianne, so much for coming to my blog and offering a guest post to support such a worthy cause. Thank you for sharing an except of your contribution, Sammy. I am so happy that internet at the hotel cooperated with me!! A great post, Dianne!! Thank you for leaving a comment, I appreciate all input.